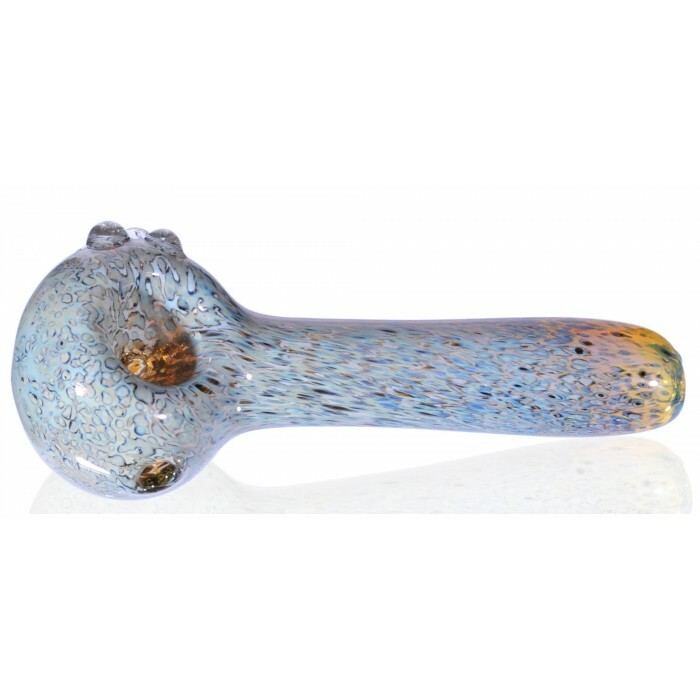 The Wolf Spider - 3” Blue Fumed Glass Bowl -The Greatest Online Smoke Shop! 3” long from the mouthpiece to the end of the bowl. 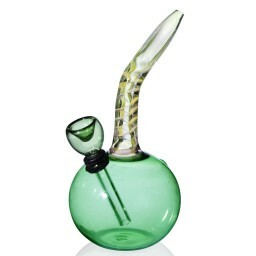 Unique style and color with web-like design throughout the glass pipe. 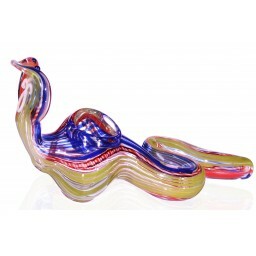 The glass is fumed during blowing process to give it an added stylish touch. 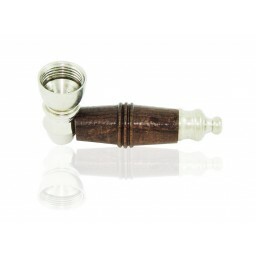 The Wolf Spider is a pipe perfectly designed for the lone wolf smoker. 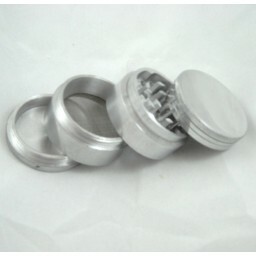 This 3-inch bowl is convenient and ideal for a quick, smooth smoke session to enjoy at your own leisure. 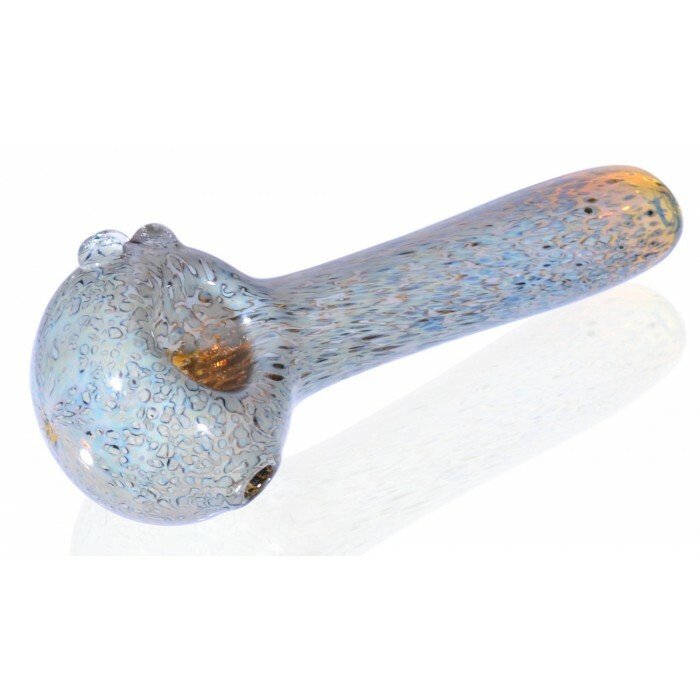 Its small but sturdy size makes it easy to store, in your nightstand or bedroom drawer, but this glass pipe does not sacrifice style for function. The glass blowers creatively infused this glass bowl with a unique and badass design. 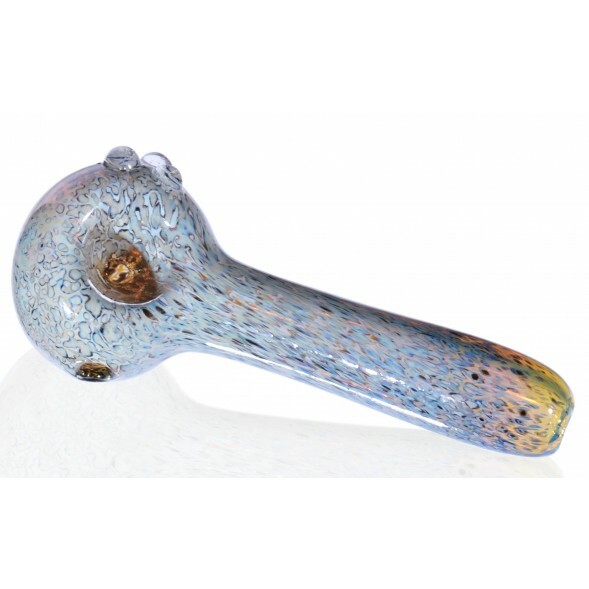 The style of this pipe looks like the webbed nest of a Wolf Spider, with a fiber design that wraps around the entire pipe and leads into the bowl just like the entrance of a spider nest. 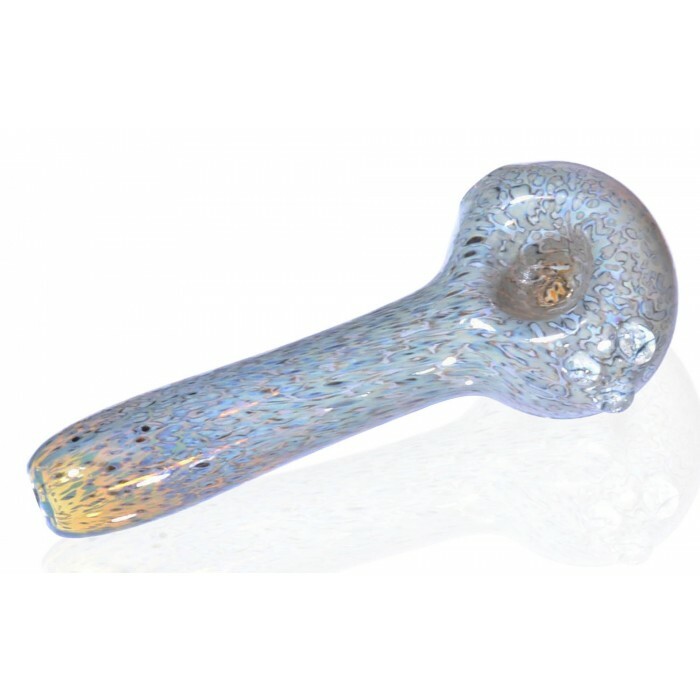 The glass blowers also created this pipe with blue fumed glass so as you use the pipe and smoke from it the color will start to change and develop. 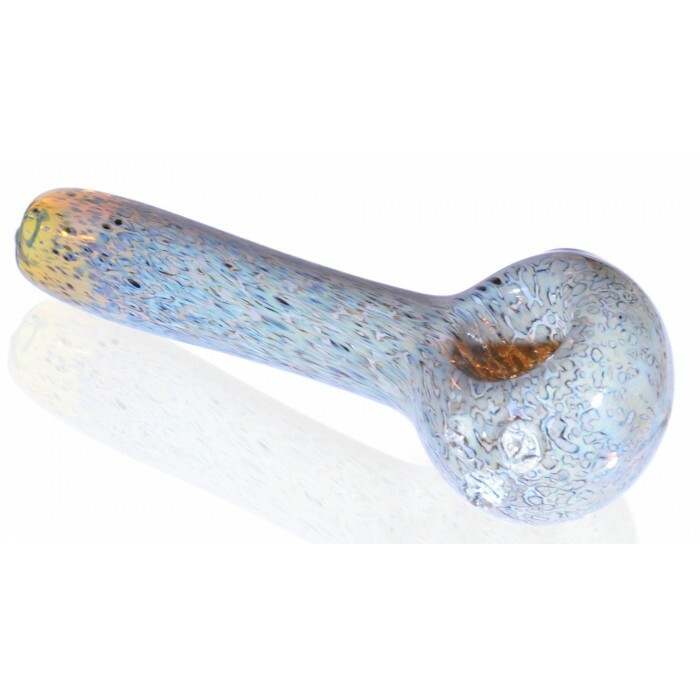 The fumed glass gives this bowl yet another dimension of creativity, giving you a convenient but stylish pipe that’s perfect for a quick and easy smoke session. This piece hits like a freight train! Glad to add it to my collection! 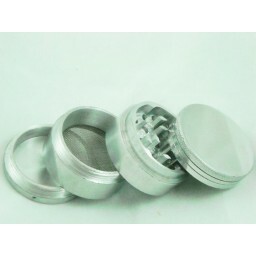 Super fast shipping as well as free gifts. How could you go wrong. The uniqueness of every piece has to be my favorite part. I love the pipe I received, it has some darker colors than the example pic shows, but I adore it. Can’t complain, it’s a beautiful pipe to own. Got to me in two days!! Along with my other products, this one is a beautiful pale blue. I absolutely love my Wolf Spider pipe!! Beautiful one of a kind artistry in this little smooth hitting wonder. I bought 4 more as gifts. The description of this beauty is what made me decide to purchase because it sounded so unique. I highly recommend!! Don’t know why I expected it to be bigger, but overall a nice pipe just really small. Also for some reason at the top the coloring stops but overall satisfied.